From single strand payals with little ghungroos at the end to enameled payals and gemstone embedded ones, foot jewellery and brings its own kind of charm to the entire bridal ensemble. While it’s mostly hidden under the beautifully flared lehenga, be sure to know that your wedding photographer will surely take a shot of them. 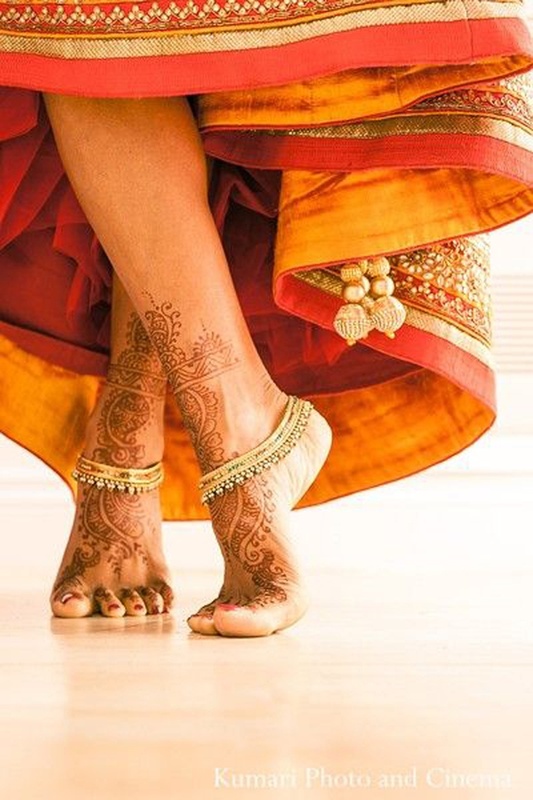 Being a sucker for all things bridal, whether lehengas or jewellery – these gorgeous payals and foot jewellery designs for every kind of bride!